It’s a well-known fact that the best-laid kitchens are those which start with the proper measurements. 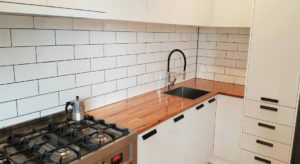 We’ve put together some tips to help you get the most accurate measurements so that when you book a kitchen design you are completely ready. 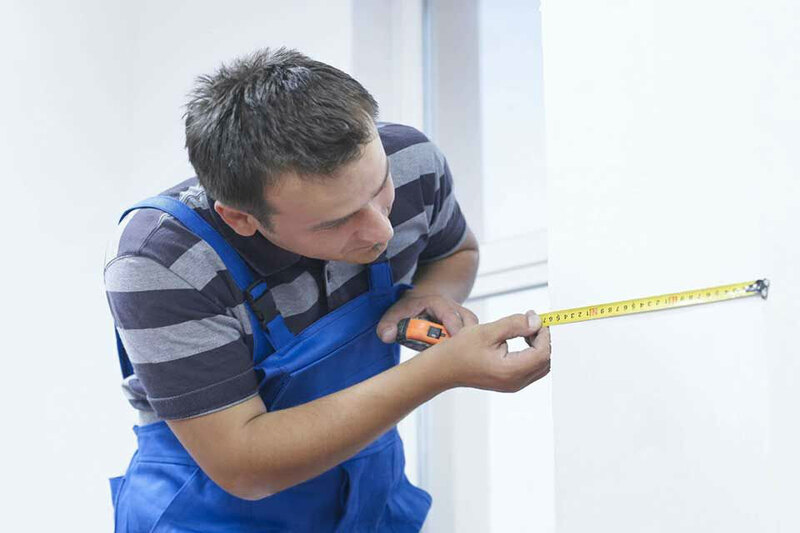 Before you get started, you’ll need to have a metric tape measure, a piece of paper and a straight edge. Start by drawing the shape of the room for the new kitchen. Measure from the wall surface, not from tiles, otherwise it could affect your measurements by 20mm. It’s a good idea to move clockwise when measuring so you don’t get lost. Write down the length of each wall, working from left to right and label each wall, window, and door with a number. Write down all measurements in mm and avoid rounding numbers up or down to finish in 0 and 5. It’s best practice to take horizontal measurements of walls at height while recording vertical measurements from the floor to the window sill, from the window sill to the top of a window, from the top of the window to the ceiling, and then again from the floor right to the ceiling. Finally, don’t forget to include the window or door architrave in your measurements! Include the width of the architrave on your plan and mark out the direction of how the door will open. When ordering your cabinets, we recommend using the widest of the three measurements to avoid ending up with an unattractive gap between the wall and the end cabinet. Many kitchens have a “bulkhead” (the space between the ceiling and the top of your current cabinets). Record the distance from the floor to the bottom of that space, as well as its height and depth. When measuring doorways, start measuring from the centre of the left-hand corner of the wall and be sure to record the size and the location of the doorway (don’t forget the trim!). Measure the distance from that point to the edge of the door trim, and then measure the width and height of the door with the architrave. Start again in the left-hand corner of the wall, measuring the distance from that corner to the edge of the window’s trim. Measure the width and height of all sides (including the architrave) and then measure the distance between the lower edge of the floor to the bottom piece of the trim. It’s also incredibly important to note where items like venting ductwork, drainpipes, all plumbing, sink waste on floor, and electrical outlets are located on your paper. When measuring their location, measure to the centre of each item for the best accuracy. Appliances are a component quite often forgotten about – remember to measure the width and depth of your fridge, microwave, oven, cooktop and any other appliance you intend on keeping in your new kitchen. Need help? Download a free copy of our Kitchen Design and Cabinet Guide for further help in drawing up your kitchen measurements. Once you have your kitchen dimensions, book a free in-store kitchen design at one of our three Kitchen Shack locations in Maribyrnong, Preston or Kilsyth! We’ll gladly help you with your kitchen and work with you to come up with a gorgeous kitchen design.